Family Food Finds: Foodie Friends Friday Linky Party! Foodie Friends Friday Linky Party! Happy Friday! 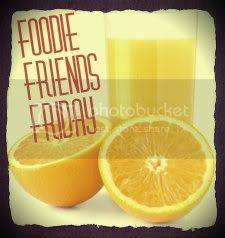 I am trying out my very first linky party with my friends at Foodie Friends Fridays! Since there are so many of you with wonderful recipes, I wanted a chance for you to link to one of your favorites. The whole Foodie Friends Friday gang will be co-hosting this party, so when you link your post here, it will show up on all our members' pages too! I can't wait to see the wonderful recipes you all share. Thank you for the constant inspiration!